WOW!!! It's already October! I cannot believe how fast these last few months have just blown by. My Christmas to do list is slowly approaching and there is no time to get an early start on any of it. Two of my boys' birthdays are in December so it gets a little crazy around here. SO let the craziness begin!!! 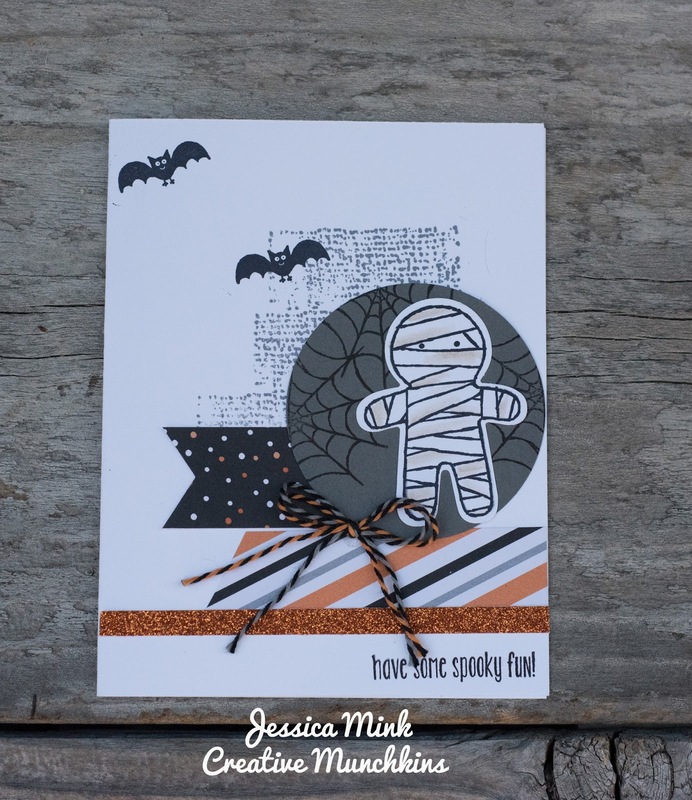 This month's hop theme is anything NEW from the Holiday Catalog....since it's October I deduced to share the cards we made at last card class. I just love these little cookie cutter guys so much! And the Christmas ones are just as cute. I cannot wait to create some scrapbook pages using this set. I have so many Halloween photos to scrapbook and these little guys will be super cute on my pages! Labels: Blogging friends blog hop, cards, halloween, Stampin' Up! Love your Cookie Cutter Halloween showcase! Would have loved taking this class. Such fun! Thanks for sharing! Love all your cards Jessica! My cookie cutter suite is on it`s way and I can`t wait to case your cards! TFS! Ann, so great! I love the Cookie Cutters. 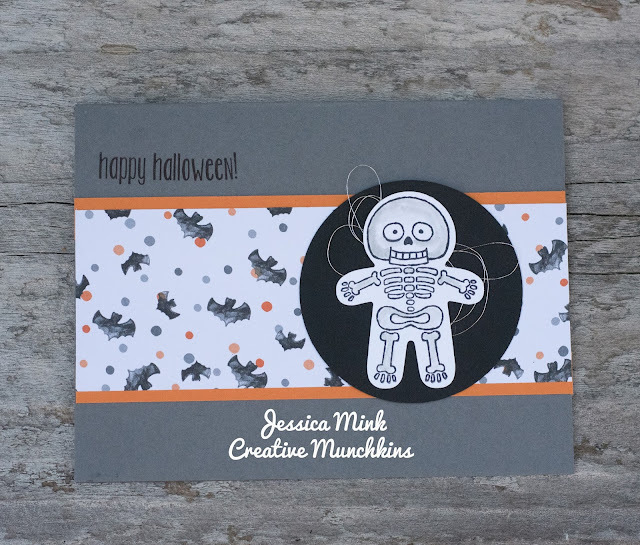 Great showcase of the cookie cutter hallowe'en set, Jessica! These are all so cute Jessica! I just adore this set! Great Job! All adorable cards using my favorite bundle too!!! Great fall cards! I just love these little guys too. Thanks for sharing these great cards. I love this set and the coordinating Christmas bundle. Adorable cards!